You don't have to miss out on effective treatments when opting for cruelty-free, environmentally friendly beauty products. 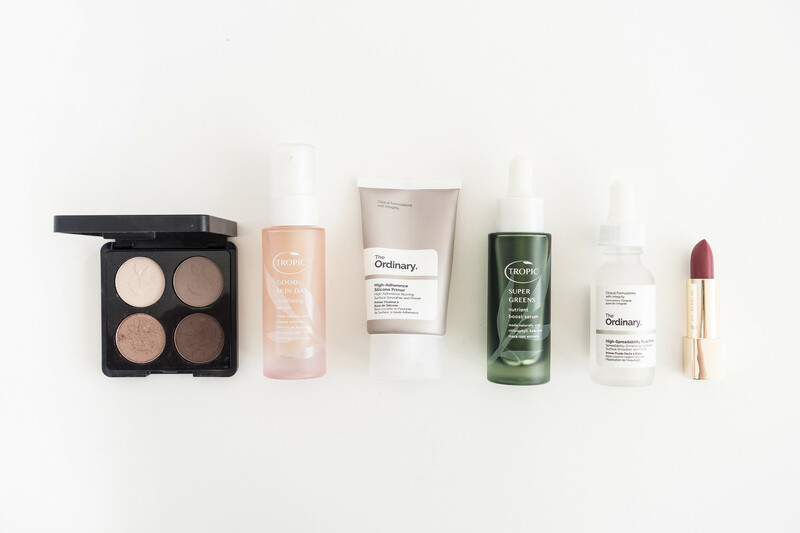 While some products achieve less than satisfactory results, the following brands provide highly effective skin care without unnecessary ingredients or cruelty to animals. 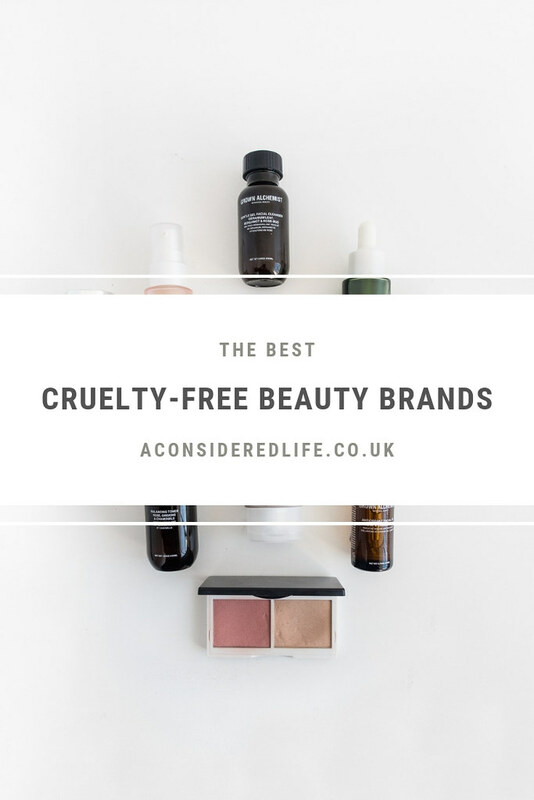 This is a list of my absolute favourite cruelty-free brands; please share your own favourites in the comments. A note on the term “cruelty-free." I was recently asked what my definition of “cruelty-free” is, to clarify: cruelty-free to me means no animal testing* (which is illegal in the UK) and no ingredients from animals. I don’t believe you can call a product “cruelty-free” if it contains ingredients taken from an animal. I don’t have an issue with purchasing products from brands whose parent companies sell in countries that do test on animals. For me, it’s no different from buying vegetables from a supermarket that also sells meat. You’re welcome to your own opinions on that issue. A note on “natural” products. I don’t believe “natural is better” by default. All products, natural or otherwise, can cause reactions. Spot test and be wary that anything you apply to your skin can cause a reaction. Natural =/= Safer. Lily Lolo creates mineral makeup with every type of woman in mind; no matter your style, age, or skin colour, Lily Lolo aims to cater to your beauty needs. Their range of makeup, skincare, and beauty accessories are certified cruelty free and made without ‘harmful ingredients’ such as parabens, phthalates, synthetic perfumes, or dyes. Lily Lolo’s range of makeup is formulated to provide flawless and seamless coverage without clogging or irritating the skin. Product Recommendations: Lily Lolo's mineral foundation has a OK shade range but they really excel when it comes to catering for pale skin tones. Porcelain is the only foundation light enough to match my natural complexion and their range of concealers are equally as good. The Coralista Cheek Duo is a travel-friendly compact ideal for any minimalist beauty bag and the pressed eyeshadow collection features a range of both matte and shimmer options in cool neutral shades. Lily Lolo’s formulas blend beautifully, are priced affordably, and have been a firm favourite of mine for years. [A’kin] provide a range of skin and hair care products crafted in Australia without using toxins, harsh chemicals, or animal ingredients. The brand is completely cruelty free, which means all their products are suitable for vegans. Product Recommendations: [A’Kin] offers an amazing range of hair care products. The Sensitive Hair Care Duo made up of a fragrance-free shampoo and conditioner designed for sensitive skin and scalps. The formula uses botanical cleansers in a pH neutral unscented formula enriched with avocado, macadamia, and jojoba oils combined with anti-oxidants, vitamin B5 and oat protein. After trying many natural cruelty-free shampoos and conditioners, the [A’kin] range is the only one I repurchase over and over. 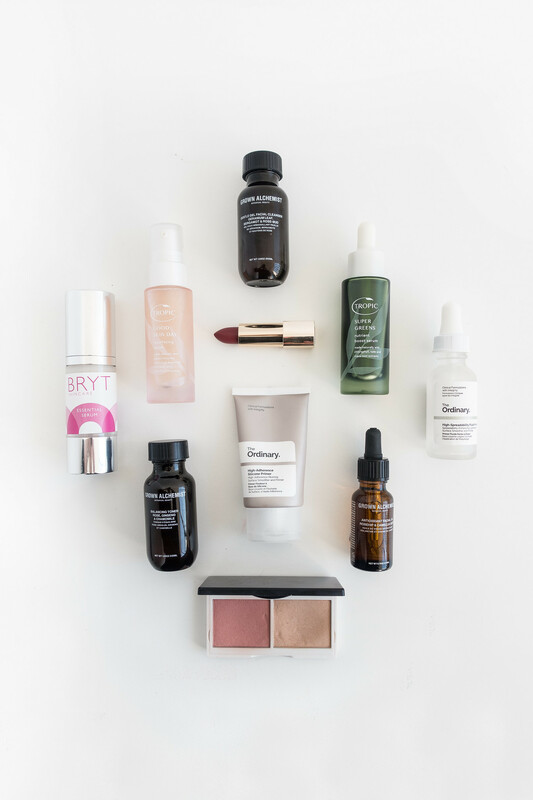 Product Recommendations: Ever since discovering Topic Skincare, two of their products have become staples in my beauty routine: the Good Skin Day Resurfacing Serum and the Super Greens Nutrient Boost Serum. Good Skin Day is an restorative serum containing glycol acids, BHA exfoliate, AHA fruit complexes, and concentrated hyaluronic acid to resurface the skin. If you’re looking for a natural smoothing and brightening skin treatment, this is perfect. It’s simple, effective, and natural. Super Greens is a lightweight and fast absorbing serum to calm the skin, minimise irritation, reduce redness, and aid skin repair. Tropic Skincare also has a range of cruelty-free makeup; their eyeshadow quads and lipstick are richly pigmented and versatile, I recommend the shade Rosehip and the Brown Eyed Girl eye palette. Deceit is the umbrella company for a range of beauty brands focused on changing the world of beauty by doing the things other don’t. Their brands and products ‘advanced functional beauty,’ aiming to provide sensibly priced innovative skincare, haircare and makeup. Their branding is minimalist perfection; it looks good on your shelf and their products work. Product Recommendations: The Ordinary has two primers worth getting your hands on: the High-Spreadability Fluid Primer and the High-Adherence Silicone Primer. Both work beautifully to smooth, enhance, and prime the face. You can use them as a transparent base for a soft, natural finish or apply foundation over the top for a flawless look. I also highly recommend Hylamide’s Low-Molecular HA, a multi-depth rehydration booster, and SubQ Anti-Age, an advanced serum to reduce lines and irregularities. Grown Alchemist focuses on organic formulas using natural technologies to revolutionise the traditional methods of personal care. Everything from the ingredients they use in their products right down to their packaging, Grown Alchemist focuses on sustainable, organic, natural, and cruelty-free methods. Product Recommendations: The Grown Alchemist Facial Kit is a great way to trial a selection of their products. All of their products are gentle and effective, ideal for sensitive complexions. The Gentle Gel Facial Cleanser and Balancing Toner is the perfect cleansing duo; the Hydra-Repair Day Cream is a non-greasy facial moisturiser, buttery soft and nourishing on the skin; and the Watermelon and Vanilla Lip Balm is one of the best I’ve ever tried. Bryt Skincare has a solid ethical policy and focuses on using ingredients that are not only kind to your skin but to the environment too. Their ingredients are ethically sourced from Fairtrade partners and sustainable projects. Bryt are transparent about their botanical ingredients, how they source and use them, and they never use palm oil. Their packaging is fully recyclable using biodegradable card from sustainable forests. 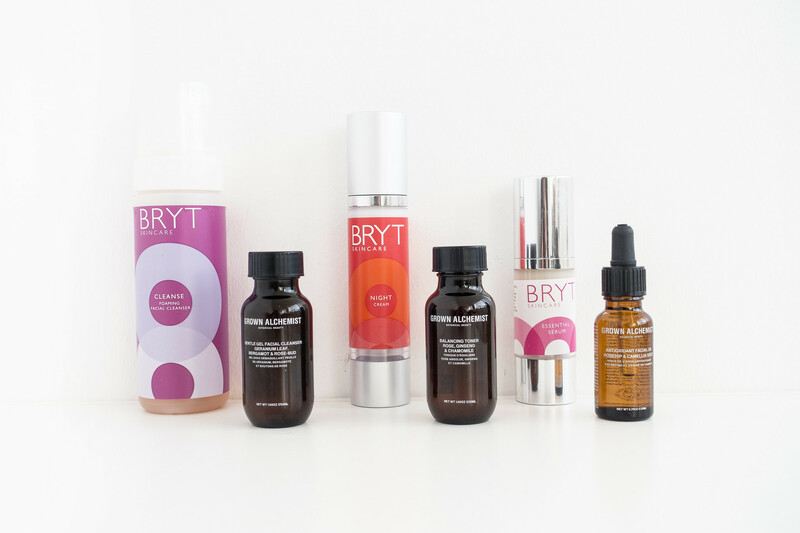 Product Recommendations: I can highly recommend Bryt Skincare’s 3 Step Process: Remove, Nourish, and Treat. My favourite step is the Bryt Night Cream. It’s a rich balmy night cream to deeply nourish your skin while you sleep. Massaged into the face after a deep cleanse, Bryt Night contains essential oils to help relax the body and mind, and the Vitamin E, Shea Butter, and African Marula Oil moisturises and heals. Simple cruelty-free natural beauty products can be made at home with ingredients you already own. They’re effective and easy to make. Try this recipe for a traditional handmade oil cleanser and simple bath salts, both kind to your skin and cheap to make. Alternatively, if DIY beauty isn’t your thing, a tub of coconut oil makes for one of the most effective, cheapest ways to cleanse, treat, and moisturise your skin and hair.